At the end of last month it was revealed that Apple had been awarded a patent for its Sapphire Glass, which it will be using to replace the existing Gorilla Glass screens on its range of iPhone and iPad devices. 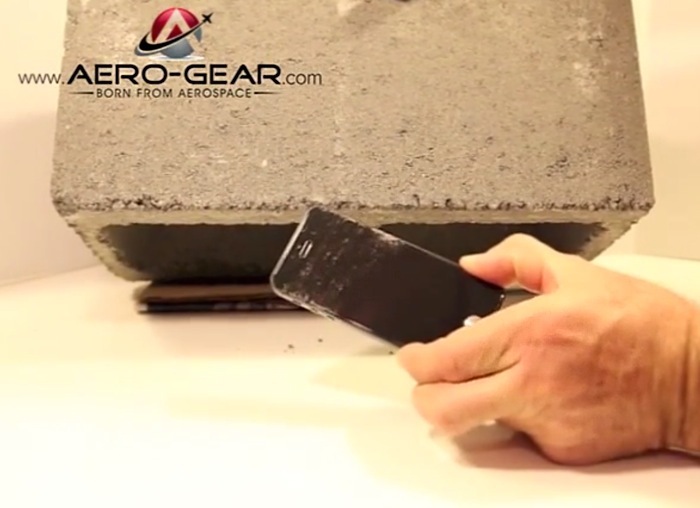 A video created last year has been discovered which shows how a iPhone Sapphire Crystal screen fares when scratch tested with a heavy concrete block, giving you some idea on just how hardy this new glass actually is. Check it out after the jump. Apple is expected to start production of its new Sapphire Glass screens later this year in Arizona in the US. The patent Apple was awarded at the end of last month related to the processing and cutting of sapphire wafers for use in consumer electronics. “Your average pane of soda-lime glass comes with a Vickers Hardness number of just 0.1. Upgrade to Corning (NYSE: GLW ) Gorilla Glass, like the screen covers found on many modern smartphones such as the iPhone 5s, and the Vickers hardness jumps to at least 600.